I had a great time and I learned a lot on this trip. Both Guides were great guys and I had a great time and would definitely recommend to others. It was a great experience again from AA that I expect from you guys, 3rd trip with you guys was again good one. 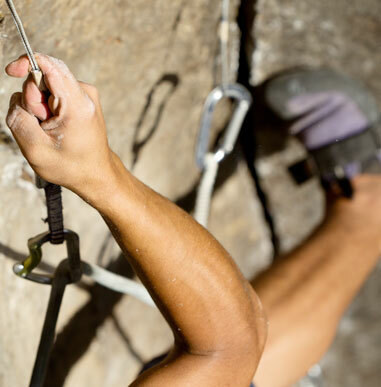 Rock climbing is currently one of the fastest growing sectors of the outdoor industry and for good reason. It is a fun and rewarding experience, in addition to being an excellent way for the mountaineer to improve footwork and prepare for more technical summits. Our five day rock climbing course is designed for beginner and intermediate climbers; this is a great course for a budding outdoor climber or an avid gym climber looking to take their skills outside. Due to the small group sizes, the guides are often able to structure the course to meet the needs of each individual climber, while placing a premium of safety and safe climbing practices. Our locations are chosen with minimal approach time which will maximize our time climbing and developing skills. Although the days are long, our graduates often find this to be a very enjoyable course; a refreshing change of pace from our demanding glaciated climbs. This course is a crucial part of the necessary skillset needed when approaching challenging mixed terrain climbing. Whether one has an existing background in glacier climbing, sport or gym climbing, or is an avid hiker, this rock course will change the way you view and assess variable terrain. 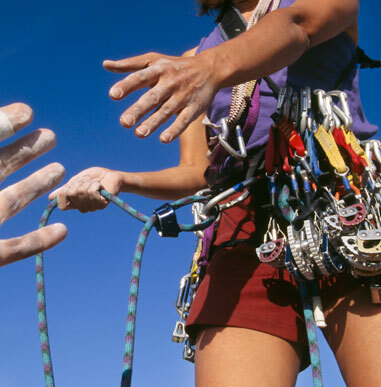 Students who complete the five day training course should walk away with a firm understanding of the basics of rock climbing including the ability to tie knots, belay and rappel safely. Furthermore, most of our students learn about the materials and equipment used in rock climbing, are confident in setting up their own top-rope anchors, understand the mechanics of lead climbing, improve their risk assessment, practice basic rescue systems, and enhanced movement skills. Although not the focus of this course, we usually attempt at least one multi-pitch climb to familiarize students with longer climbs. Leavenworth (This is our primary locations). We also use Vantage, Mount Erie, & Exit 38 depending on the weather and needs of the group. The purpose of this course is to improve terrain assessment and climbing skills of the students. This includes the actual movement skill on technical rock routes in addition to a base understanding of the safety systems that are used in rock climbing. 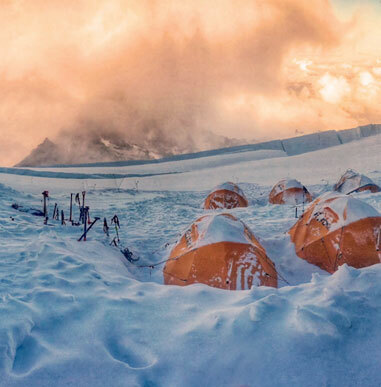 These are all very transferable skills to snow and ice and many of our graduates find this course to be extremely beneficial for their future mountaineering objectives such as Denali, The Matterhorn or Everest. Learning balance and energy efficiency in rock climbing. Slab, crack and face climbing techniques will be employed throughout the course. Learning a variety of knots and hitches that are common in climbing. Safe Anchor construction from pre-established bolts, traditional gear and natural placements. Evaluating top rope sites and establishing top rope climbs. Helping climbers visualize the route, how it unfolds and managing potential risks. Basic Rock Rescue techniques including escaping the belay and passing a knot. The mechanics of lead climbing and mock lead scenarios. The theory and practice of multi-pitch climbing. The guides’ skill level was outstanding. They were obviously very experienced in back country as well as technical skills. Not only was my guide an excellent climber but a great teacher.